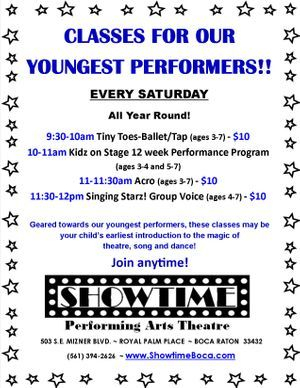 Showtime Performing Arts Theatre is a fully-equipped, two-story, state of the art 125 seat teaching and performance facility presenting a full season of children’s and adult musical theatre from September through May each year. The school includes 5 instructional studios for dance, acting, music and vocal recording, also offering Winter, Spring and Summer Performing Arts Camps. Drama and Theatre - The theatre program is formulated for all levels and all interests from 3 years old to adult. 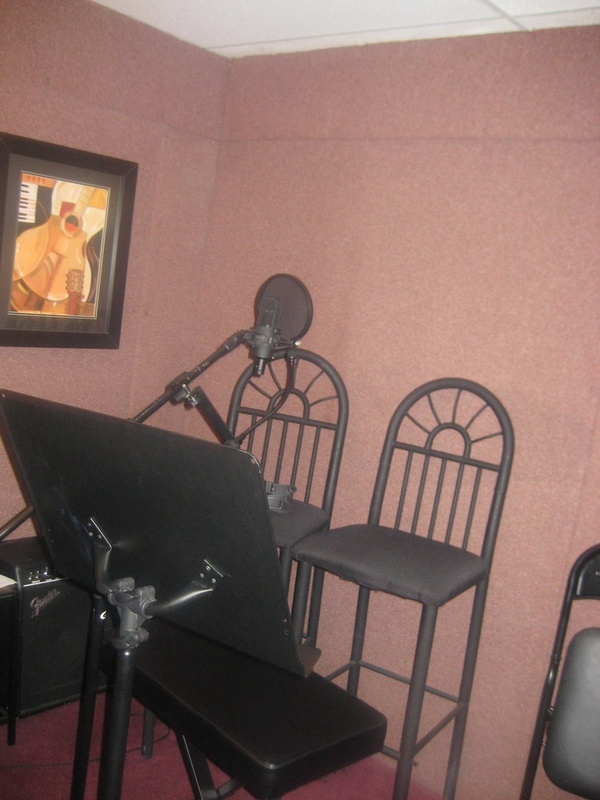 The program includes improvisation, script work, character development as well as speech and voice for the actor. Dance - Our dance program is designed to guide students interested in pursuing the performing arts professionally, as well as recreationally. The recreational dancer can enjoy the benefits of the cardiovascular workout, music appreciation, and artistic and emotional expression within their class and in the showcases at the end of the school year. Instruments - We offer multi-level instruction in Piano, Keyboard, Guitar and Drums. Better yet, take a Musical Test Drive and learn 4 instruments all in each lesson. Vocal - Our vocal curriculum is designed for all levels and interests. Emphasis in the advanced lessons will be placed on style, material selection, presentation and interpretation as well as the continued strengthening of technique including vocal strength, flexibility, range, and breathing. Audition Preparation - Designed for the student who needs to prepare for entrance to performing arts magnet school programs or college conservatory audition programs. This is personal one-on-one coaching for theatre auditions, monologue preparation, voice audition and communication department studies.